With iOS 11.3 the batterygate seems to have come to an end . 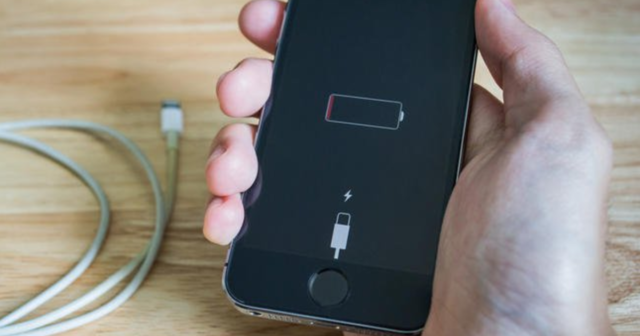 And with Health Battery it will be possible for users to choose if we want to continue using our iPhone's operating capacity to the maximum so that it goes faster even if it experiences a sudden blackout or, on the contrary, slows down, safeguarding the life of the iPhone. battery. But it is not the only novelty : if the battery of your iPhone is damaged, a new notification will appear informing you of the cause of the blackout so you do not get scared and know that maybe it is better to slow down your computer. What is happening with my iPhone's battery? As the batteries age, they can provide less energy. As a result, when the iPhone processor demands an extra, the battery can not give it to them . Therefore, the device shuts down immediately. Until now, the solution was to make the whole system slow down, avoiding this situation. But that security mechanism that caused the iPhone to be slower was interpreted as obsolescence programmed by users , starting the batterygate scandal that has ended with dozens of demands simply and plainly for the lack of transparency of Apple. The consequence of this slowdown is that many users opted not to install the latest versions of iOS , so they were free of the implementation of this security measure. How to check the battery status of your iPhone? With the scandal in full fury, Apple took action . To begin with, he explained what happened and apologized, promised to develop a function to regulate it - Health battery that comes with iOS 11.3 - and initiated the battery replacement plan . And is that with a new battery, the CPU of the devices can work to the maximum. It is a measure of the capacity of the battery relative to its initial state. Any percentage below 80% could cause performance problems . Below you will see a message that indicates that the battery can supply in situations of energy peaks. This iPhone has experienced an unexpected blackout because the battery has been unable to provide a needed power spike. Bad news, because you only have the option to slow down the speed of the processor or continue exposing yourself to blackouts. Deactivating it or not is your thing . A blackout is undesirable, but if your iPhone goes slower it can be exasperating. However, you can always check if your iPhone falls under Apple's battery replacement plan and if so, manage it by following these steps for only 29 euros. Of course it could be worse and your iPhone does not fit into this plan .